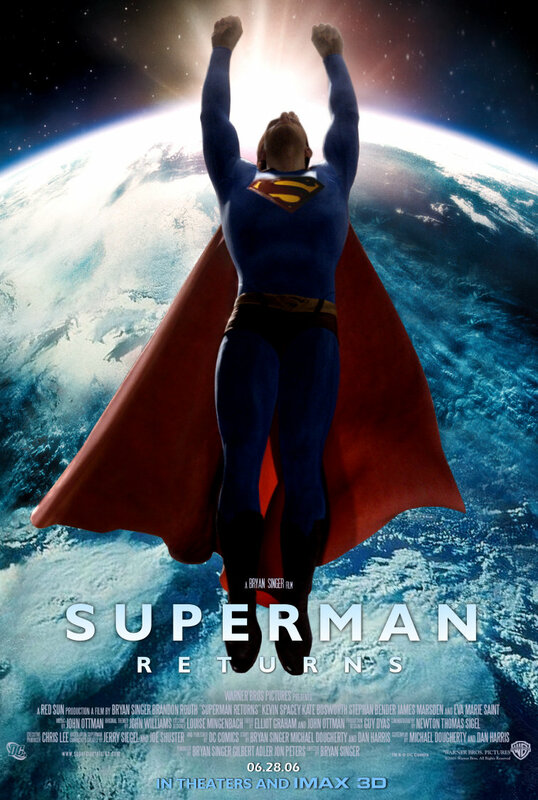 Brief Synopsis – After being away in space for 5 years, Superman returns to Earth and is ponce again challenged by his old adversary who has found a way to stop the Man of Steel. My Take on it – I remember seeing this in the theater 11 years ago and being blown away because this was finally the Superman film that we all had waited so many years to finally see. The choice to let Bryan Singer helm this one was a great one because he already has experience with superhero films and was able to take this one up another notch. Brandon Routh was an interesting choice as the lead but despite getting it mostly right, he still lacks some of the qualities that made Christopher Reeve such a great casting choice. Kevin Spacey as Lex Luthor was also an interesting choice yet instead of feeling like the perfect foil for Superman, he seems a bit lacking. The story itself is quite gripping but it drags on a bit too much and therefore loses some of it’s momentum along the way. Apparently some vital information about how and why Superman disappeared were cut from the film, but after reading about that information, things make even more sense. Adding the emotional elements of a loved one going away for a while works to this films benefit because it gives us a very human emotional connection to the characters while they are dealing with repercussions of those acts along with other emotional issues besides those connected to the villainous plot. The special effects are amazing to watch and help make this film feel much more like a modern day superhero movie and helps distance it from the mediocre superhero films from the 80’s and 90’s. Bottom Line – Definitely a return to form for the man of Steel. Routh is ok as Superman, but he lacks some of the qualities that made Reeve so great in the role. The story runs a bit too long and loses some of its momentum along the way. Spacey also feels as if his interpretation of Luthor is lacking a bit instead of feeling like he is a great foil to Superman. Loved the way that they present the ideas of an absent loved one and how one must continue on with life despite it along with the repercussions when that someone returns. Great special effects help make this story look even more realistically like a modern day superhero movie. Recommended! This movie gets a bad rap. It is better than its reputation and, for my money, Spacey is the best Lex Luthor we’ve ever had. Likewise, the airplane sequence is arguably the best action scene in any Superman flick. It falls apart at the end, and has some other problems but is still a pretty good movie.